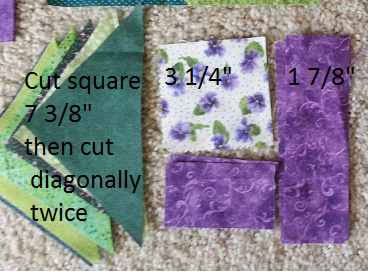 I cut a square of purple about an inch bigger than the 9 patch and cut that square diagonally twice to make the corner square triangles. This green and maybe another purply? If you want to make some of these blocks, here are some cutting instructions. The small square is 3 1/4", the borders are 1 7/8" (once sewn together you get a 6" square). The bordering triangles are made from a 7 3/8" square and then cut diagonally twice (Cut one square for each block). 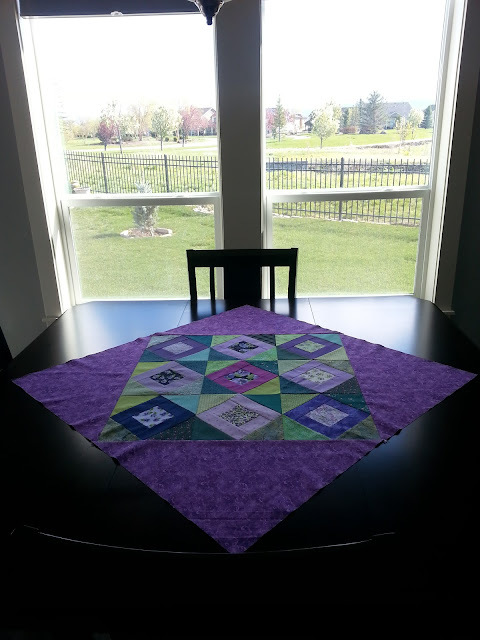 Randomly border each side with a contrasting triangle (the resulting block is 8 1/4"). 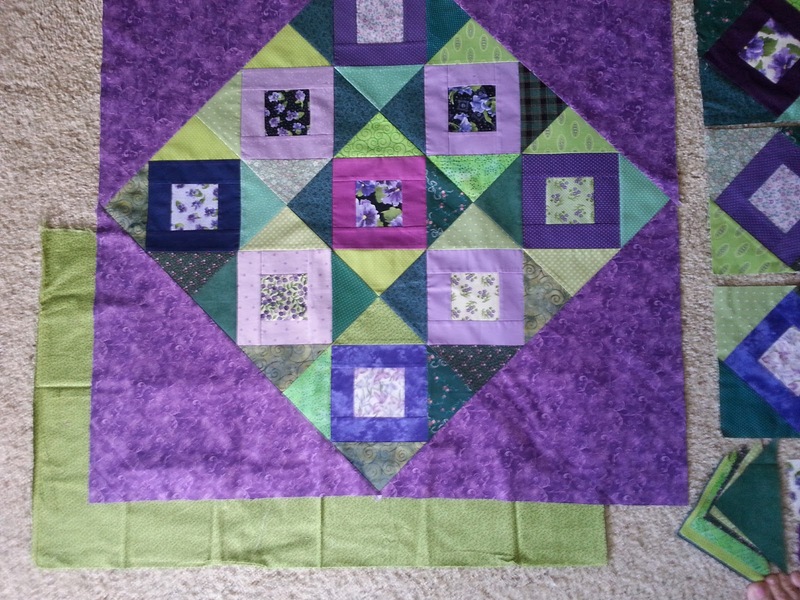 Purple and green is such a lovely combination. 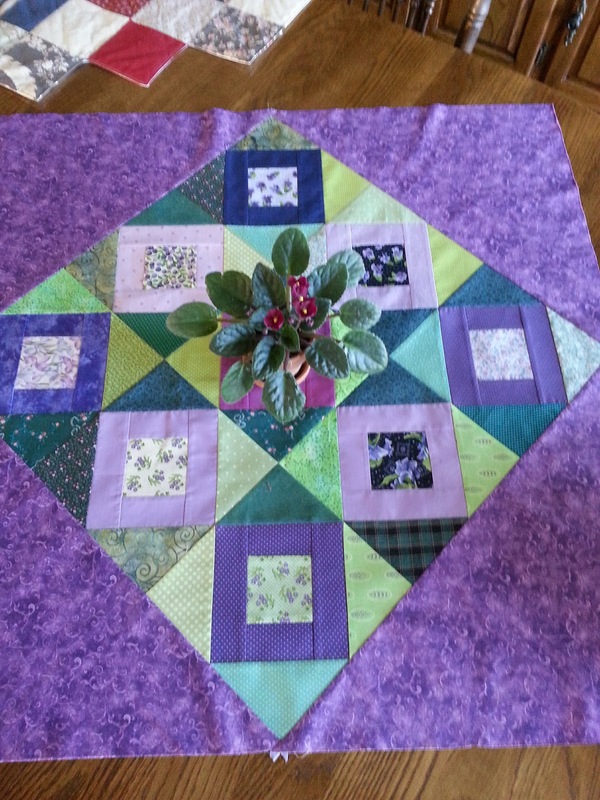 Looking forward to what you decide for borders.....green and purple is my most favorite combination. Love the little hour glass units formed when joining the blocks into a nine patch. My favourite colour ..... purple! Great idea, Sheri! I don't have any spare blocks, but I can see myself making some!! Look forward to seeing your borders! Oops, I meant to say "Thank you for the measurements, I'm making notes ..... not sure when I'll be stitching though!"